In the new economy the more smartphones a nation has is a good indicator of its wealth and potential. The measurement of smartphone penetration across a population hasn’t quite replaced the measurement of roads or electricity distribution as a predictor of wealth, but as e-commerce grows and the Internet of Things expands, it soon may be. 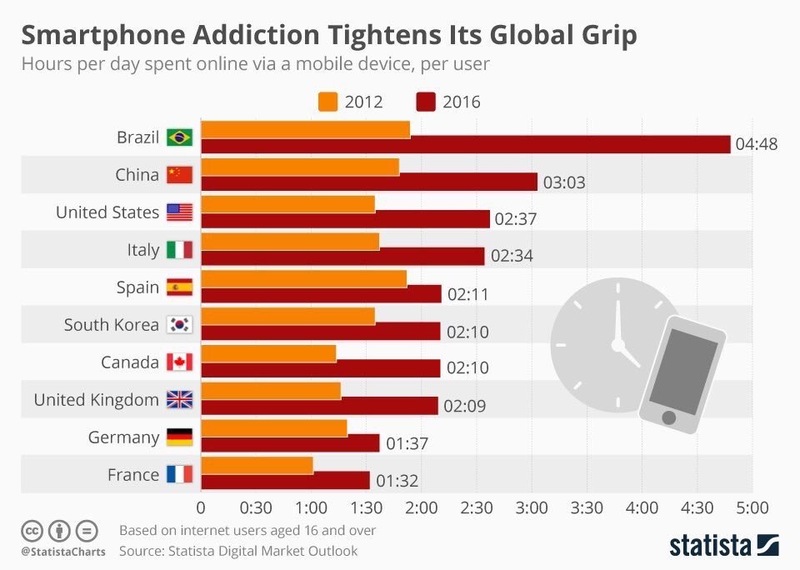 Here’s an important chart which shows smartphone use by country. We can see many Asian nations are falling behind their western counterparts.